i’ve been an anglophile for as long as i can remember. england gave us the beatles, the queen, fish and chips, english premier league soccer, barbour, and many many other great things. barbour was one of those brands i discovered through a friend – the only person i knew that had one or anything like it. it smelled weird. it was expensive (so he said) and in 2003 they were hard to find which made it very appealing to me. i didn’t get mine until several years later when you could fine them online at certain retailers. now that’s not the case. they are everywhere. this past weekend in charleston, just about every other male between the ages of 20 and 50 were wearing one or so it seemed. the popular option was either the bedale or beaufort in green. so many dudes were wearing them that my girlfriend pointed it out before i could comment on the situation. and if i may be honest, i was wearing one too; albeit, the barbour x white mountaineering joint i got in london in december. 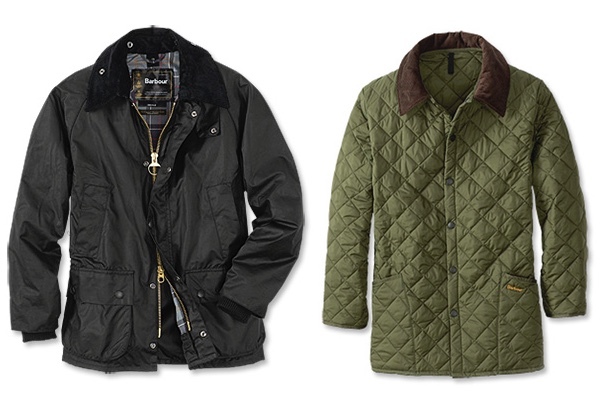 when did barbour become the preferred jacket of frat dudes and forty-year-old attorneys? in college, i didn’t have enough cheese to afford a barbour. now they seem to be handed out with frat letters, southern tide checkered shirts and sperrys. it’s kind of a bummer because it used to feel like an exclusive club. but look, they’re great jackets. they’re timeless. they’re beaters. they fit like they’re supposed to. they’re just everywhere now and that’s ok. i’m going to have to get used to it. if i ever lived in london, i’d see twice as many of them. it’s a good thing they make other models besides the bedale and beaufort. it might be time to throw mine on ebay. rest in peace, barbour. and while we’re on the subject of fratty (see below post)…j. crew has partnered with north face for the re-release of its “iconic” mountain jacket. i’ll be honest, this jacket looks like every other north face jacket i’ve ever owned, but j. crew’s website tells me it’s a lot different i.e. it has reinforced shoulders like the one from 1985 and longer zipper pulls. ok, if you say so j. crew. i need a new leather jacket. i’m currently selling my old one on ebay (long story). 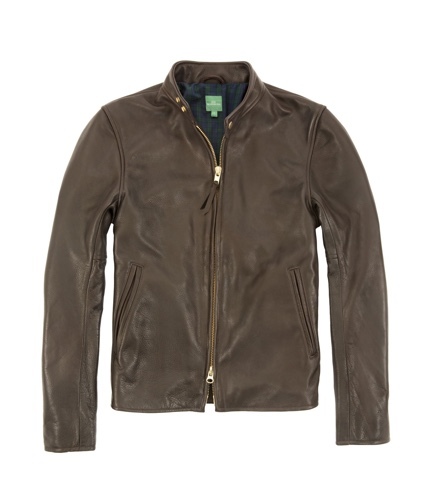 this motorcycle jacket from sid mashburn is the perfect candidate to replace the other one. the write-up on sid’s website said they were tired of searching for the “perfect” leather jacket, so they made their own. it’s brown cowhide (obviously) rather than black which means it goes with more things in your closet. it’s also slim fit with no chest pockets to give it more of a tailored look. i like it. i just need the old jacket to go ahead and sell so i can jump on this one before they sell out (it’s a limited run). believe it or not i have not mentioned the word “barbour” on here since 2011. that’s gotta be a joke, right? i love this brand. surely, it must have come up at some point. a quick search tells me it hasn’t. hmm…i digress. i’m not gonna lie i love a good hoodie. i think nike makes some of the best. recently they’ve started calling their hoodies and other fall weather gear “the tech pack.” i don’t know what it means or why they’ve named it the tech pack, but it’s warm and comfortable and on sale. 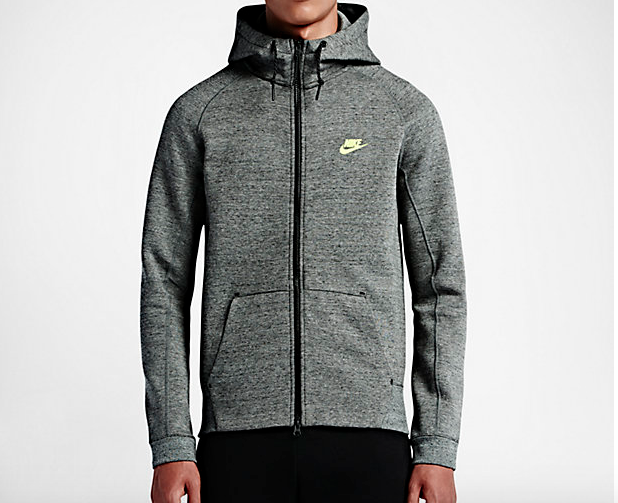 i’m going to pick up this grey one before they run out of my size.